The Chairman of Leadership Newspapers, Mr. Sam Nda-Isaiah, and Presidential Aspirant of the All progressive Congress (APC) has stated that the APC is the only solution to the numerous political problems facing Nigeria. 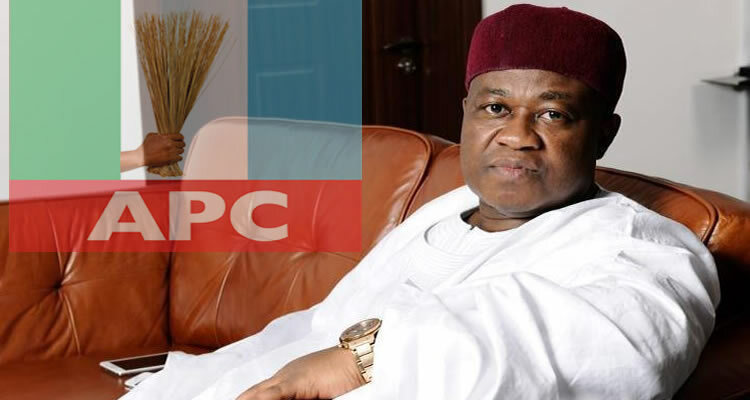 According to Nda-Isaiah, who spoke to Journalists after his registration yesterday at Gofar –Dogara Mainadi in Makera ward of Chanchaga Local Government Area of Niger State, he joined politics to offer a direction and chart a new course for the country. Mohammed, as well as the Director General SAM4NIGERIA, Mallam Bala Garba, was issued card Number 0100402 as the second person to be registered in the unit. “What made me come into Nigeria politics is because Nigeria needs direction we cannot continue on this path, there is need for a newdirection and that is why I have joined the race to bring that change”, he said. When asked what his relationship with Buhari was and why he had to go into the race knowing that Buhari might still be interested, he said, “Buhari has always been my boss and will remain my boss but I am not thinking the way you are thinking. We talk from time to time and I have already told him my intention”. He stated that besides, Buhari has not declared that he is interested to run for any position yet “Buhari has not said he is going to contest yet but I am going to contest”, while stating that he joined APC because it is the only progressive party in Nigeria. Mr. Nda-Isaiah later visited the party secretariat located at off Zarumai Road Minna with other party members where he was received by therepresentative of the party executives Attairu Musa Abubakar. This entry was posted in News, Politics and tagged Mr. Sam Nda-Isaiah, Mr. Sam Nda-Isaiah Presidential Aspirant.